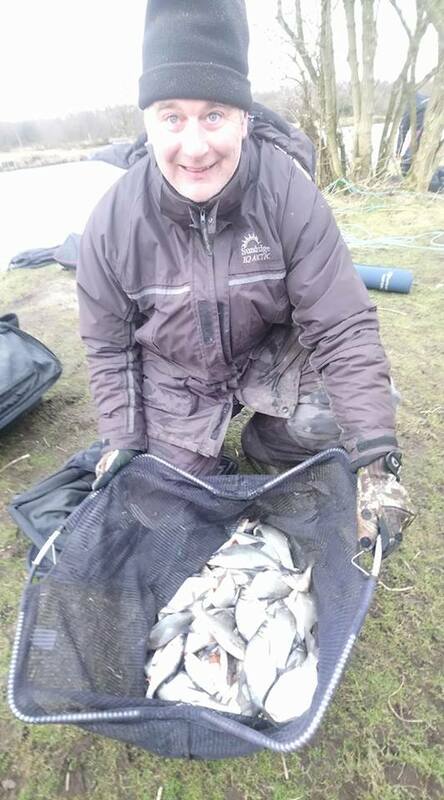 Yet again the weather let us down… Mild all week with quite a few carp caught… Then Boom… Friday, Saturday and today we were greeted with the “Beast from the East” part two..!! We didn’t have the snow other areas have had, a mere flicker here and there, but a biting East wind gusting to 25mph and temps between – 2 and 2 degrees was as good as it got today. We all knew it would be tough, but 13 hardy souls braved the elements none the less. With pole fish pretty much out of the question, most opted for cage & maggot feeders today. 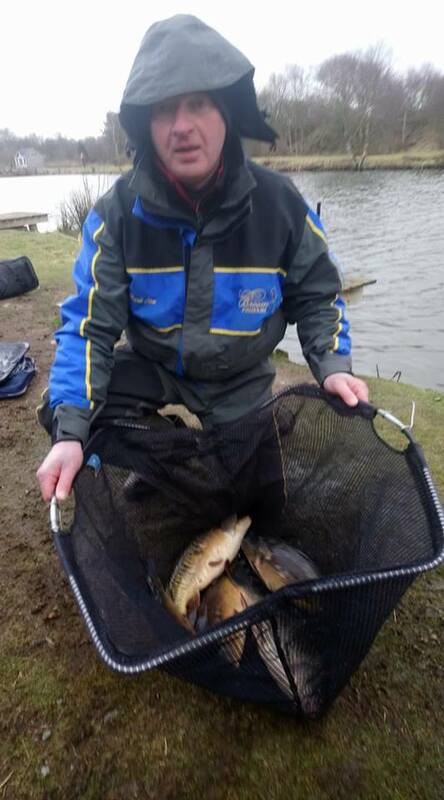 Gerry Blythe won overall with a steady day’s fishing, catching lots of small skimmers and roach on the cage feeder with maggot on the hook, weighing in 10lbs 7oz. 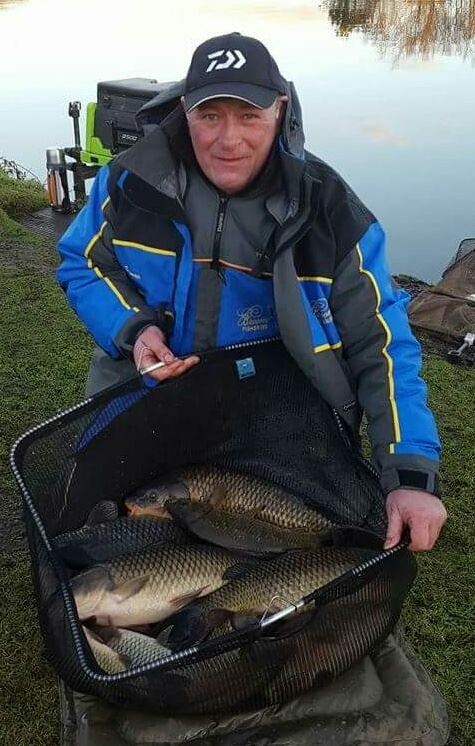 Mark Clow drew hot 🔥 peg 20, but due to the colder temperature the carp were slow going, but 6 small stockies was enough to secure 2nd place with 10lbs 2oz. 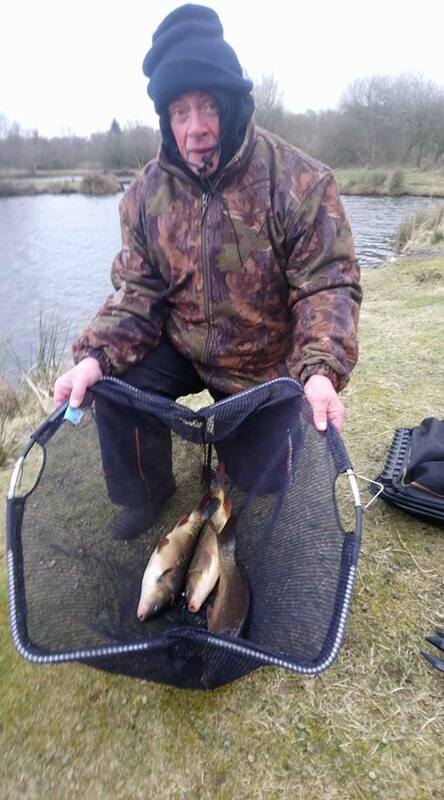 3rd place was shared between Paul Spencer and Geoff Whittle, both weighing in 7lbs 3oz, Paul had 3 carp, while Geoff had one good skimmer and a few smaller ones. Dave Walker deserves a mention for his big ide, a real cracker close to 4lbs..! Credit where its due to all who supported the match and also due to it being Broom regular Symon Willans birthday.. He may have caught Diddly Squat but he was able to share his day with sympathetic friends…. 😁 😂.! !